At K-Rain, we’re always finding new ways to conserve water and still be efficient in providing adequate moisture to residential lawns and landscapes. The rotary nozzle, a new irrigation feature, conserves water by reduce output up to 10 gallons of water per hour. Depending on where your customers live, they could benefit from their city’s water rebates because of our rotary nozzles. 1. You don’t need to carry any extra tools: Our rotary nozzles, from 90° to 270° are simple to adjust by using only your hands or an adjustable tool. 2. You don’t have to carry various rotary nozzles in your work truck: One SKU is all you need. So, there is less product tote around in your truck as well as less inventory to check. The rotary nozzles multiple stream technology improves wind resistance and completely covers your customer’s lawn eliminating dry, brown spots from appearing. The mist that comes out of the nozzles evaporates quickly, so there is no excess water hitting the ground or hard surfaces reducing wasted water. 4. 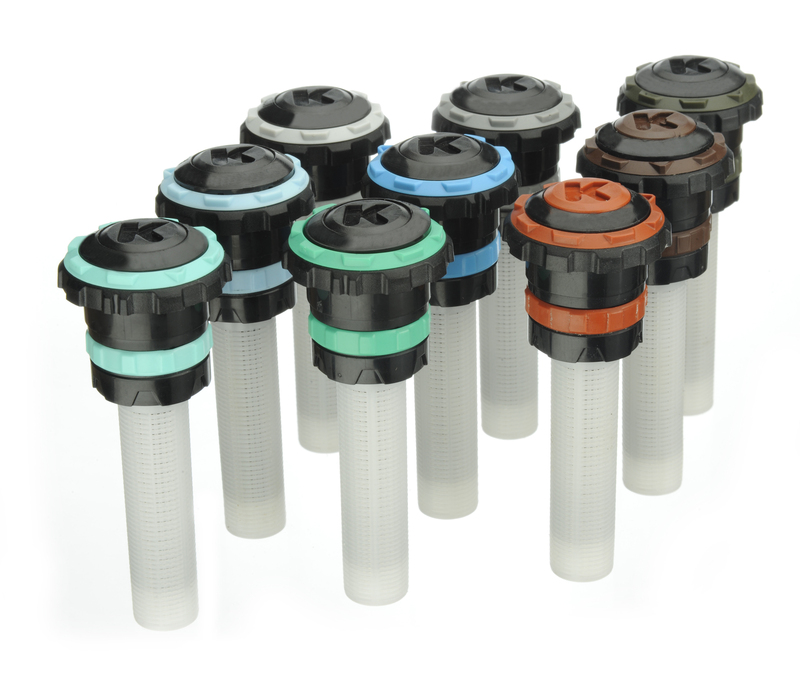 A larger filter allows it to go longer between maintenance checks: It also improves the longevity of the rotary nozzles. 5. K-Rain rotary nozzles are built to last: We use high-impact engineered resin to produce rotary nozzles that are tough and built to last a long time. 6. It saves homeowners money and conserves water at the same time: K-Rain rotary nozzles use less than 10 gallons of water per hour on residential lawns. 7. The viscous dampening provides consistent application speed even if your customer’s water pressure ranges from fast to slow throughout the property. 8. You can adjust K-Rain’s rotary nozzles to accommodate different yard sizes and shapes. K-Rain’s rotary nozzles are easy to adjust to fit a small lawn as well as a larger property. Your customers can have a beautiful lawn and landscape when they hire you to install K-Rain rotary nozzles to their sprinkler system. When you partner with K-Rain, you’re embarking on a journey that will diversify your contracting business. When you join the Premier Contractor Program, you earn loyalty points on every sprinkler system product you purchase through us. Buying promotional merchandise—especially for promoting Smart Irrigation Month in July! To learn more about our Premier Contractor Program, visit our website or complete the registration form.